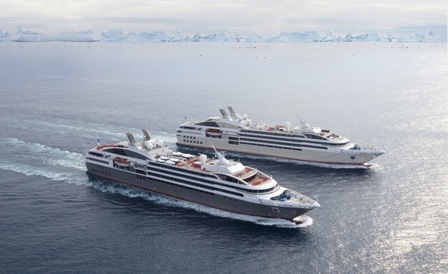 Compagnie du Ponant, reveals new South America program for 2015 – 16. From the wild open spaces of Patagonia to the tropical forests of Panama, the well-crafted itineraries take passengers at the heart of each destination to meet with the locals and explore the most emblematic and off-the-beaten-track sites. With a 30 per cent discount on the brochure fare for early bookers* and Open Bar on all cruises, sales are now open for ten departures between October 2015 and March 2016 on board LE BORÉAL, L’AUSTRAL and brand new (launching in April 2015) LE LYRIAL. Compagnie du Ponant is also launching new “Green Expeditions” involving regular Zodiac® outings on the Amazon and Orinoco, in the Darien National Park, the San Blas Archipelago in Panama, as well as Ecuador, the Chilean fjords and Cape Horn. NOTE Australian passengers: Please find here the link to new e-document, it’s the “Latin America: Summer 2015-2016” Collection – Australian version, fares in AUD - refer to page 44.